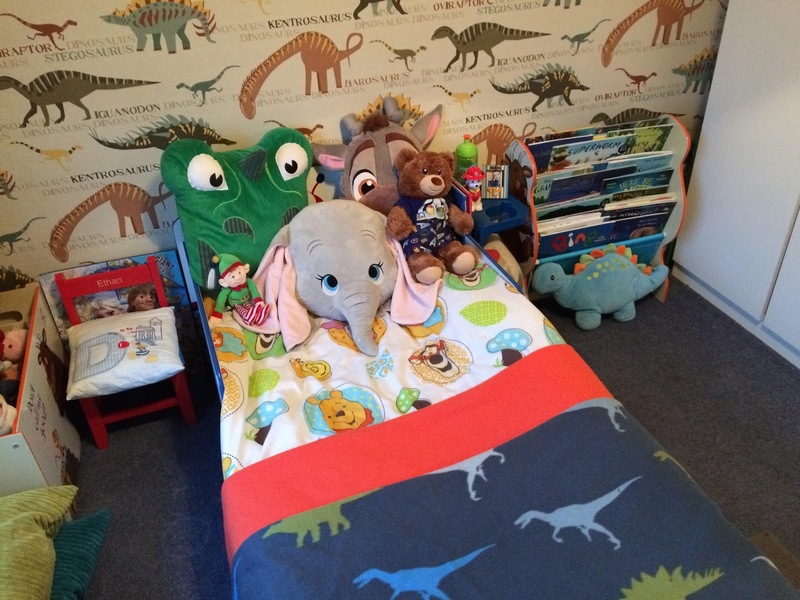 * Ethan's nursery is the smallest room in the house so we decided to move him into the other spare bedroom, as it's much bigger and we decorated it in a dinosaur theme when Ethan was a few months old, to be used as a playroom, so it was ready and waiting for him. 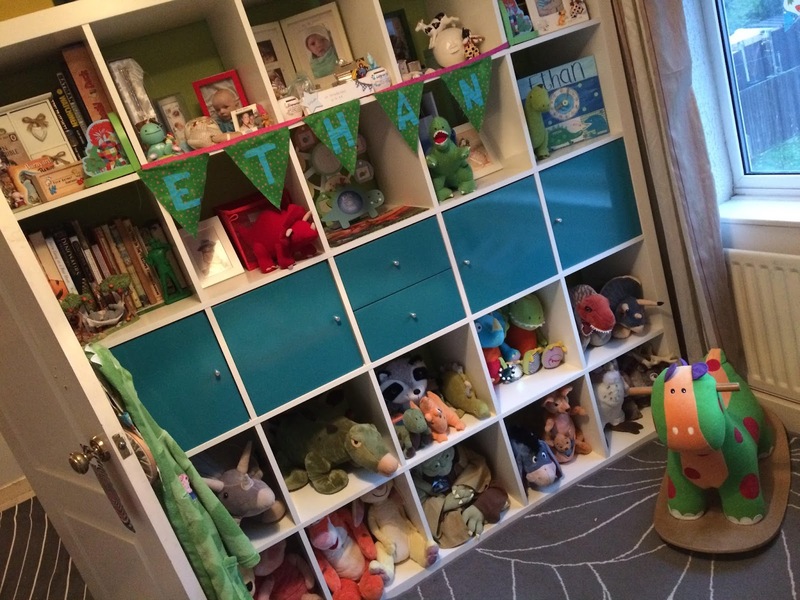 He moved in without a hitch and it's great that he has more space now - and even more places to store toys! 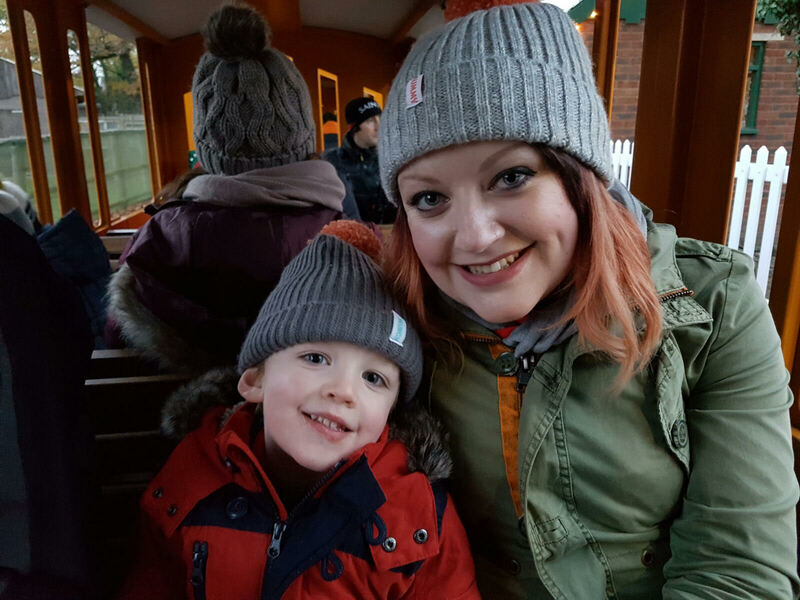 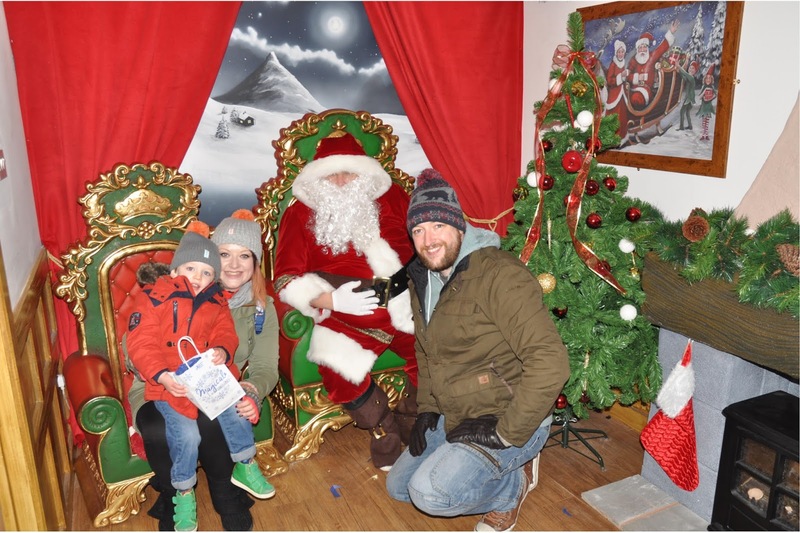 * If you live in / near the Midlands, don't forget to check out my bumper guide to Santa grottos across the region - many of them tried and tested by us!